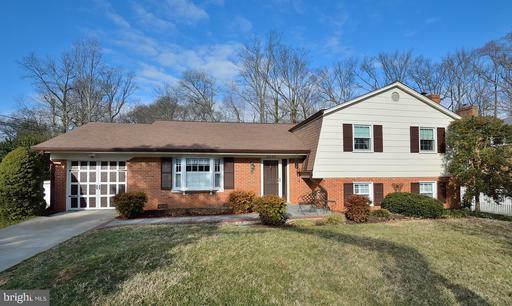 Great opportunity to live in sought after community of Landsdowne near Kingstowne. Close to Ft. Belvoir, I95,395,495. Wegmans, Restaurants, other service businesses and shopping centers near by. 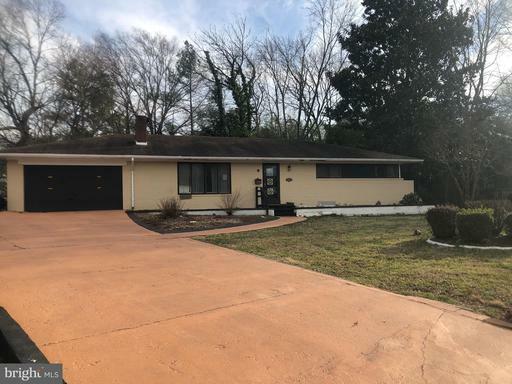 This home has many updates and upgrades to include: Roof Siding, Windows, Doors, HVAC System both outside and inside unites replaced, Hot Water, Refrigerator with Icemaker, Brazilian Cherry hard wood floors on main and upper level. Finished basement with Tile flooring. 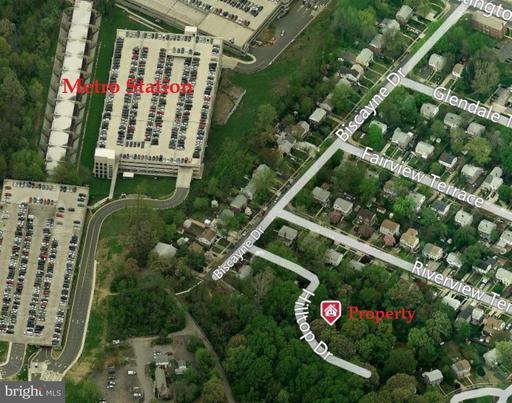 3 metro stations and Slug lines to Washington DC near by. 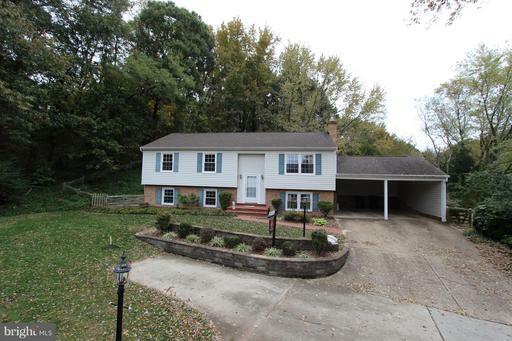 Great property, go show, one of the largest home in this community. Owner is in the process of replacing the old Kit. Stove and Dish Washer with new ones. PRICE JUST REDUCED $25,000. 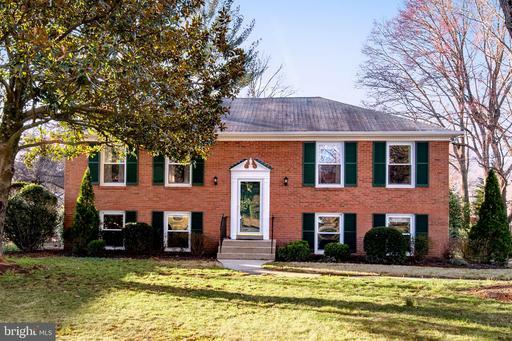 Magnificent, very large 3 level, 4 BR, 2 1/2 BA Center Hall Colonial in excellent, renovated condition, located near Mt Vernon Estate, on one of George Washingtons original farms. This was going to be their "Forever Home", so the owners have been upgrading and renovating everything: Kitchen, baths, new roof, new triple pane windows, new hardiplank siding, new back deck, new water heater, new whole house generator, new closet organizers upstairs, new security system. Now, a great job opportunity is taking them away, and you will enjoy the fruit of their efforts! Refinished hardwood floors on the main and upper levels. Carport and 2 sheds. 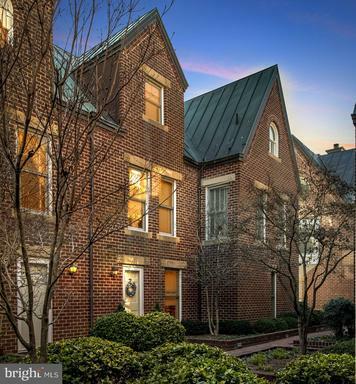 Conveniently located near Ft Belvoir but easy access to Alexandria Old Town and Washington DC up the scenic Mt Vernon Parkway. Only minutes away from numerous fine restaurants and shopping. Very conveniently located and near public transportation. 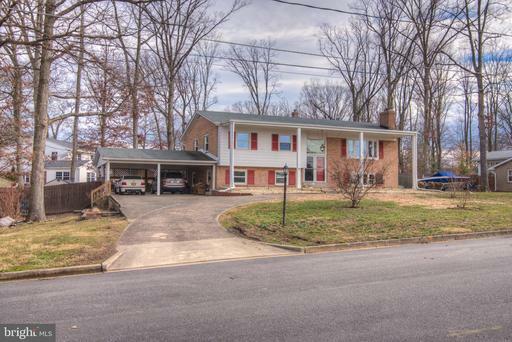 This home offers everything youve been looking for ! ! Just Lowered. One Block from Waterfront. 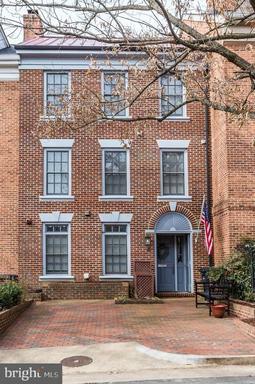 Come live play in the heart of historic Old Town, Alexandria. 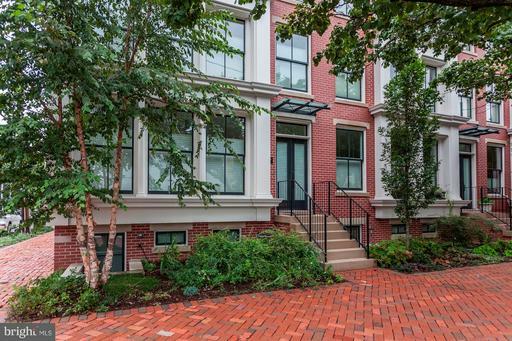 Rarely available townhome, with southern facing patio, in the Torpedo Factory Residences. This spacious two bedroom, plus extra large den, two and half bathroom, gem will not disappoint. Cherished by longtime Old Town resident is turn-key ready. 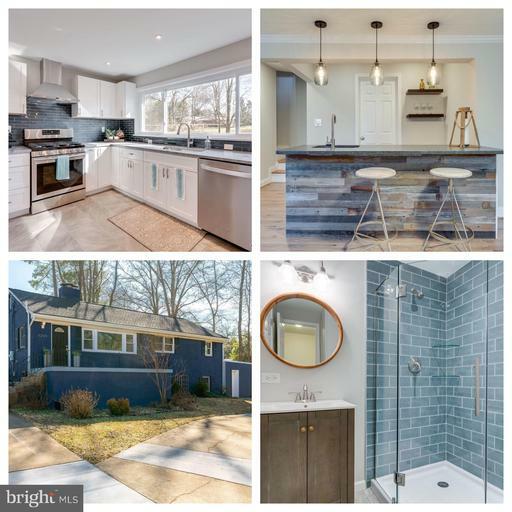 Newly renovated award-winning Cameo Kitchen, Inc. with energy efficient stainless steel appliances and granite counter tops, plus newly updated contemporary bathrooms. Inviting foyer with details in every step. Very pretty living and dining space featuring - crown moldings, gleaming hardwood floors custom built-in~s. Step down into the living room with cozy wood-burning fireplace. Abundant natural light flowing through a set of three patio doors opening onto tranquil 120 sq ft stone patio with fountain and Wisteria covered arbor. Beautiful master en suite with Juliette balcony, double closets and elegant master bathroom with double sinks. Large second bedroom has great space with lots of light closet space next to newly updated second bathroom. Continue to the third floor, may be perfect option for third bedroom, office, art studio or more with beautiful cathedral ceilings, extra closets. Beautifully and professionally landscaped grounds, picturesque courtyard and famous common greens. A beautiful Cherry Blossom tree just outside kitchen window, blooming tulips and begonias in Spring/Summer. Surrounded by charm and rich history. An oasis in the heart of it all. Bordered on the East by Torpedo Factory Art Center, the Potomac River on the West by lovely Carlyle House Gardens. Restaurants, fine dining fun abound on King Street just a few steps away. An architectural landmark with copper roofs and chimney tops. Well-insulated with all-brick construction. Parking extra storage included. Water taxi available at the waterfront to Nationals Park, The Wharf, Georgetown, National Harbor. Free trolley along King St. to King St. Metro and attractions. Every Saturday, all-year-long, Old Town Farmers Market, since 1753 highlighting local produce and products. Easy commute to D.C., Arlington, Crystal City just about anywhere. 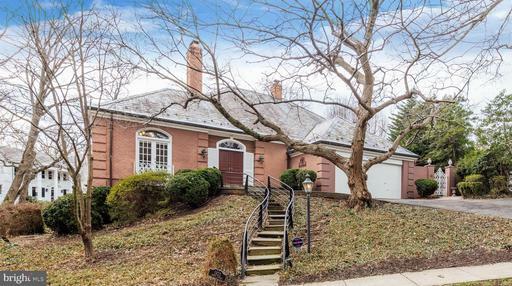 Close to Amazon HQ2/National Landing, this beautiful colonial on a quiet cul-de-sac has everything discerning buyers expect in a luxury home. 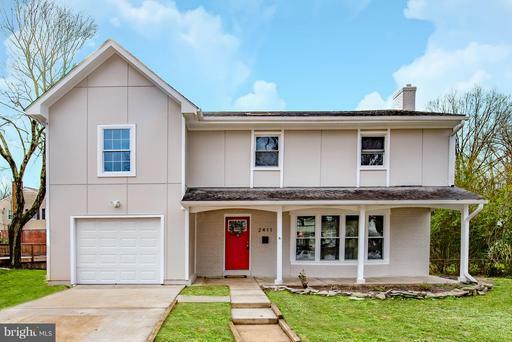 Built in 2010, the home features a desirable floor plan with generous room sizes and modern amenities. The main level includes a gourmet eat-in kitchen with granite counters, stainless appliances, center island, and breakfast bar; large family room with built-in bookshelves and a gas fireplace; and formal dining and living rooms. There are four bedrooms on the upper level with a grand master suite with sitting area, large walk in closet and beautiful master bathroom; three additional bedrooms, one with an en suite bathroom. The third level is perfect for an office, den, or play room, but can double as a fifth bedroom. The basement is an entertainers dream! 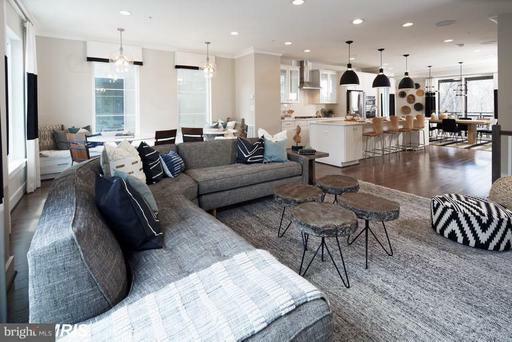 This fully finished space has a custom-built bar with ice maker, refrigerator, and sink; wine cellar; recreation room with gas fireplace, full bathroom, and a custom home theatre! The Energy Star home also includes a two-car garage. The home backs to Fort Williams Park. 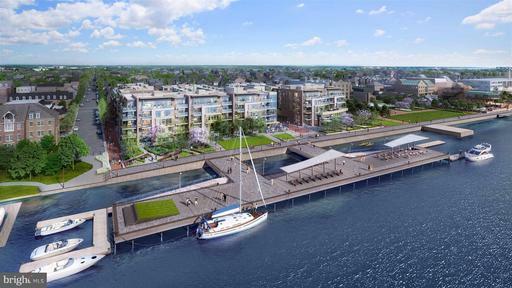 Only minutes to Old Town, shopping, dining, and easy commuting options. Welcome home! 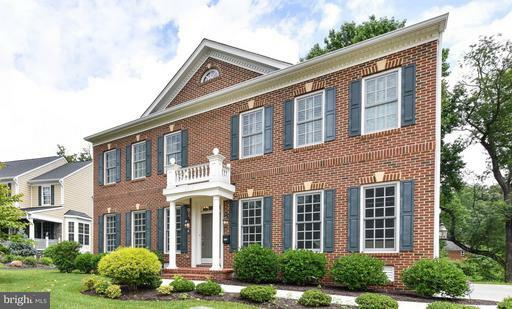 Beautiful, spacious 5 bedroom, 5.5 bath home with luxury details central vac, steam shower with lighting and sound on a quiet street in soughtafter Belle Haven neighborhood. Large, tiered backyard perfect for entertaining or enjoying from the solarium. 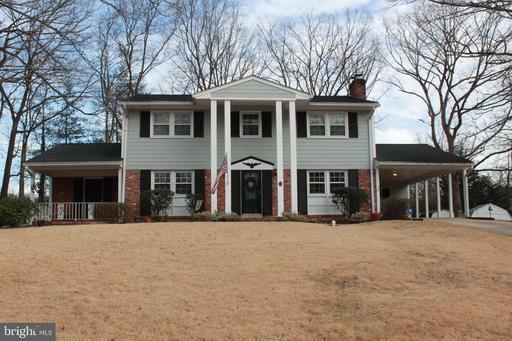 Recently remodeled with high end features and Crown molding throughout. Stainless steel granite kitchen, lower level rec room, exercise room, storage and workshop. Huge loft on the fourth floor-carpeted with duct work in place/ready to be vented. 2.3 miles to Metro, 9.3 miles to DC. 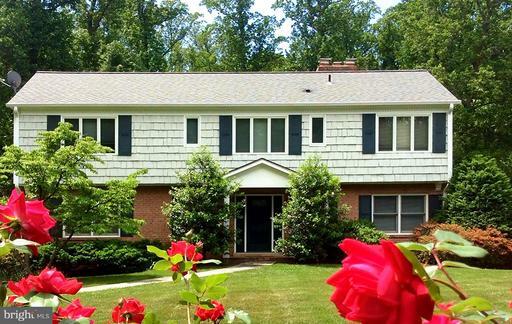 Close to schools, shopping, GW Parkway and the Beltway. 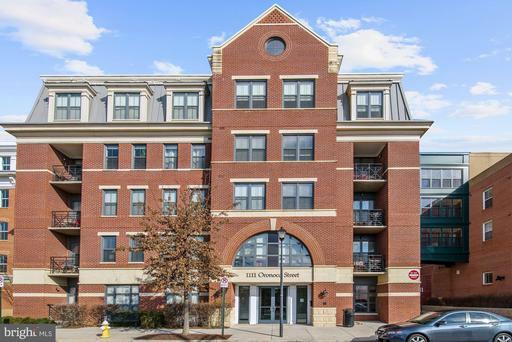 Spacious one level living in Alexandria! Brick and siding, detached 2 car garage, front porch, fenced backyard with shed and in ground pool as is. Family room or 5th bedroom, living room with fireplace. Great opporunity to own in Alexandria. Come and make this one your own! 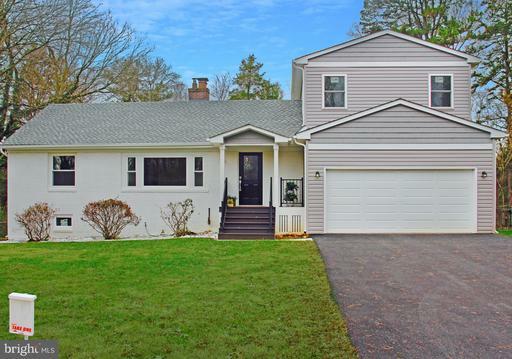 GREAT REMODELED 3000+SQ.FT 5 BEDROOM 3 BATH SF IN WAYNEWOOD !! GARAGE, 3 FIREPLACES 2 ARE GAS, HARDWOOD FLOORS, HUGE KITCHEN WITH FIREPLACE. ALL NEW BATHS. NEW CARPETS, FRESH PAINT, LG STORAGE AREA. WALK IN CLOSET. GREAT AREA. BY THE POTOMAC RIVER/BIKETRAIL. WALK TO SCHOOLS/POOL/PARK. 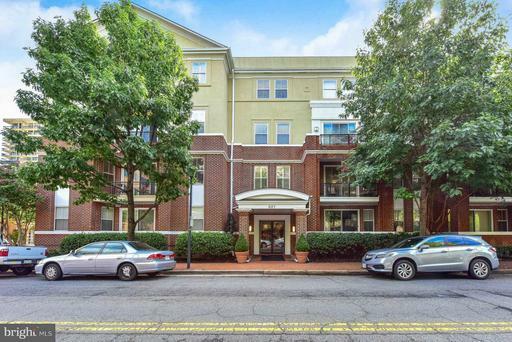 MNTS TO OLD TOWN, EASY COMMUTE TO THE PENTAGON, FORT BELVOIR AND DC NOTHING TO DO!!! Fantastic location, near public transportation, minutes to metro, Shopping Centers, Stores, Banks and Restaurants. 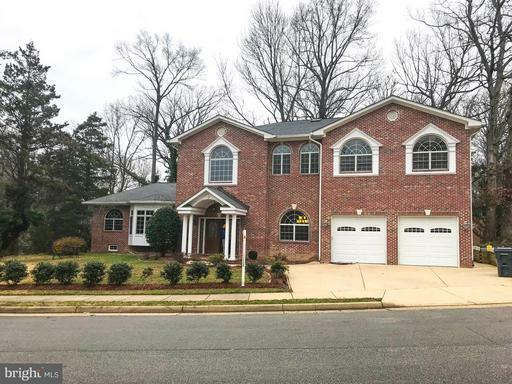 The house is beautifully designed 5 BR, 3.5 BA property with open floor plan great five bedrooms, large open basement boasts full bath 5th bedroom/office. 2 car garage and private fenced in backyard - tucked away on quiet street. Close to FT. Belvoir. Welcome home! Listing Broker: Adamz Realty Group, LLC. National Sales Event - 4/6 through 4/28...ask about our special limited-time incentives. See Sales for details. 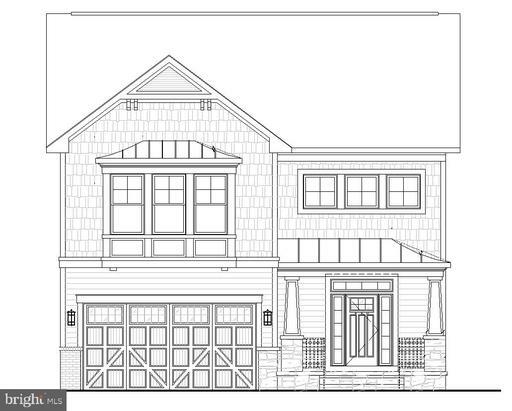 To be built, luxury 3 bed/3 full 2 half bath 4-story town home with exquisite finishes! Hardwood in living areas, expansive island, 10 ceiling on main level more! 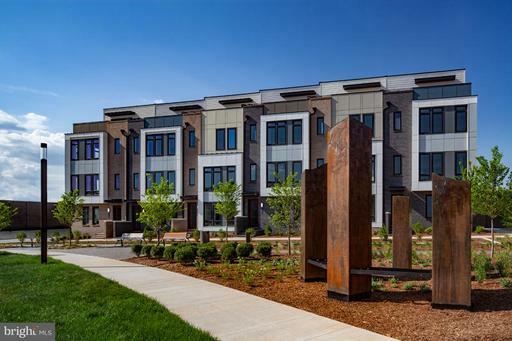 Eisenhower Square, Toll Brothers newest town home community, just minutes from Old Town Alexandria, features open concept floor plans scenic rooftop retreats~all within walking distance to Metro, shops dining. OPEN BY APPOINTMENT ONLY ON APRIL 14. 1103 Finley Lane is a very special hilltop home, built by depicting the frame of George Washingtons northern headquarters, Jockey Hollow. 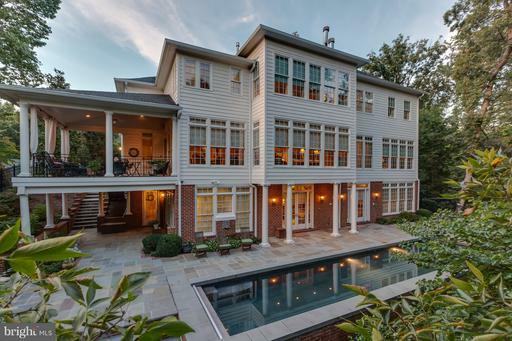 This majestic 1.3-acre manor home has 10,400 sq. ft. within the home, including six bedrooms, six luxurious bathrooms, seven fireplaces, three-car garage, and gorgeous heated swimming pool all surrounded by professionally-designed floral gardens and landscapes. This elegant home was built with the intention of seamlessly intertwining entertainment with comfortable living quarters. The quality craftsmanship is immediately apparent as soon as you enter the home. The hard pinewood floors of the foyer flow to the formal living room with center fireplace and marble hearth. The custom crafted 250-bottle mahogany wine closet divides the living room from the secluded study/wine tasting room. The generous living room is the natural gathering space with tall windows to bring in natural sunlight, an inviting fireplace, and beautiful artwork highlighted with dedicated painting lights. The main chefs kitchen was thoughtfully designed with elegance and function to handle large banquet parties and everyday dinners. Top of the line Viking range and double ovens are installed in the center island to compliment the Sub Zero refrigerator and freezer. Two built-in dishwashers and 50-bottle wine fridge make party cleanup a breeze. Granite countertops adorn the massive kitchens perimeter and central island as well as on all three wet bars in the home. For casual meals, the breakfast room is just off the kitchen with southern views of the back terrace. French doors open from the breakfast room to the resort-style covered terrace with beautiful Brazilian Ipe wood floor, beaded board cathedral ceiling, and sleek iron railings. For more formal dinners, the dining room, adorned with classy crown molding and wainscoting, is large enough for nearly any size table. The upper level can be accessed by two staircases or by the 3-floor elevator. This floor holds four bedrooms and three full bathrooms including the master suite with its own adjacent tv room, unbelievable dressing room, and luxurious master bathroom. The bathroom has everything you would need including two separate vanities with Newport brass fixtures, clawfoot tub, and marble tiled rain shower. The master closet is a dressing room the size of a bedroom. The second master suite is fit for an in-law or au pair suite with a sitting room, en suite bathroom, and Jacuzzi tub. Two more ample sized bedrooms share a jack-and-jill bathroom. This home offers as much unique comfort outside its walls as it does within them. The 45-foot black pebble heated lap pool offers peaceful opportunity for outdoor exercise, as well as convenience with an automatic, flip-of-a-switch safety cover. The unique landscape consists of vibrant colors and familiar combinations including azaleas in the likeness of Augusta National Golf Club. Hydrangeas, yellow and peach tea roses, red and pink camellia bushes, lilacs, pink and Virginia Magnolias, and dogwood trees are just some of the flora that make this locale such a unique home. 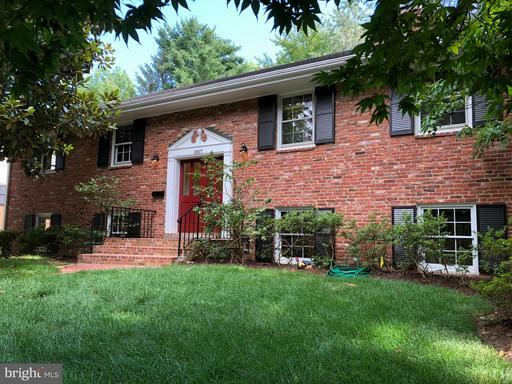 1103 Finley Lane is a quiet, tranquil home conveniently located in Seminary Hill, which is home to some of Alexandrias most prestigious schools and is centrally located by the most important locations in the Washington Metropolitan area. Amazons upcoming HQ2 in Crystal City and Reagan National Airport are 5 miles from the front door. The U.S. Capitol Building and K Street are within 10 miles of home. The combination of luxury, craftsmanship, peaceful setting, and location is unmatched. Price Reduction! 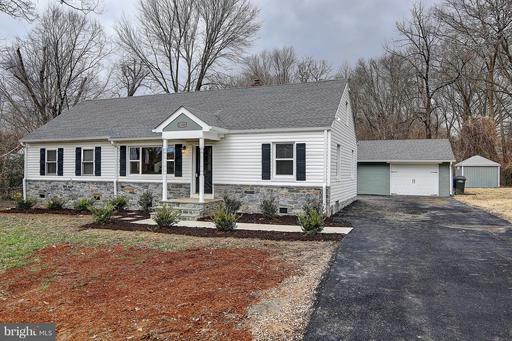 Beautiful New construction home built in 2018! 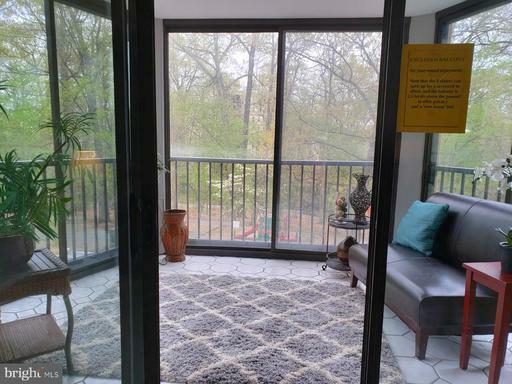 Minutes to Old Town Alexandria, Crystal City, and Washington DC! Boasts over 4,000 sq ft on 3 finished levels. Open concept main level with tons of natural light, dark hardwood floors, crown molding, gas fireplace. Grand entry foyer. Gourmet kitchen with Stainless Steel appliances, gas cooktop, double wall ovens. Quartz countertops Marble backsplash. Large island, perfect for entertaining! Butlers pantry for extra storage. 4 bedrooms and 3 bathrooms on upper level. Bonus lounge area at top of stairs. Spa-like master bath with soaking tub, large shower, water closet. 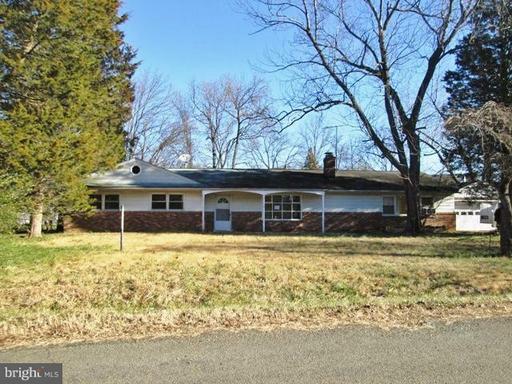 Large finished basement with 2 bedrooms, 1 bath, tons of storage! Hookups for wet bar or kitchenette. Tons of windows bringing in natural light and walk out stairs to the back yard! Patio to enjoy. Detached 2 car garage. Must see this gorgeous home!! 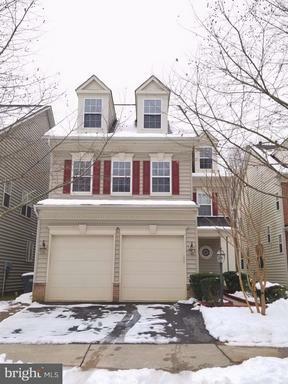 Have you seen a townhouse with a master closet as great as this one! Custom built ins in a large walk in closet. The hardwoods have been refinished and shine like a models hair in a suave commercial. 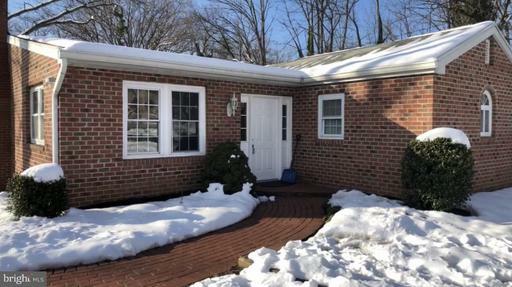 This all brick townhouse in GREAT location of Kingstowne is well maintained, with new applicances, grantie counter tops, new carpet, oversized 1 car garage with plenty of storage! It has 3 beds and 2 baths upstairs, half bath on main level and a rec room walkout basement with another half bath and a fireplace! 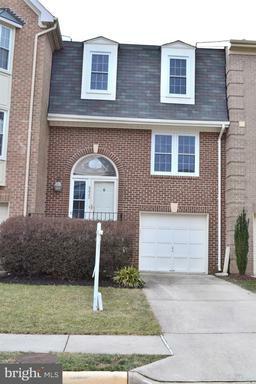 Walkout to a great brick patio, fenced in yard, spiral staircase to upper level deck off breakfast nook. It has new light fixtures, new landscaping, HVAC 2013, ROOF 2015, WATER HEATER 2014, WINDOWS double hung 2010. The mirros in the dining room easily come down if that is not your style. Ask me how . This home is all done for you. You just need to move in. Act Now before the opportunity is gone! Urban Hardi Panel and stone exteriors included. 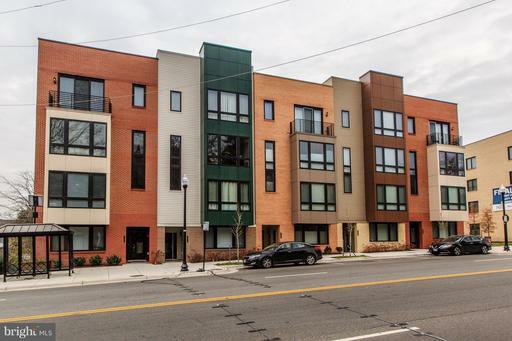 Stunning 22X42 TH front-load 2 Car Garage Rooftop Terrace TH with rear yard driveway. High end appointments Construction. 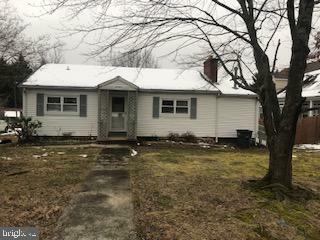 Priced to move you! Exciting Retail being built in South Alex. 10 min from Old Town, Metro, Commuting Routes more! Ask about our closing cost Assistance! Total Reawakening of a sleepy Hollin Hall Home*Two En Suite Bedrooms - one on each level. Formal Living Room w/Stacked Stone wood-burning fireplace - Generous Dining Area - Designer Kitchen features Stainless Appliances, Quartz Counters and Custom Cabinetry to include Pull-out Pantry - A Unique Tray Ceiling with Cove Lighting in Enormous Open Family Room at Rear accesses Deck and Hardwood Staircase to Lower Level. Engineering Hardwoods throughout Lower Level. Generous Game/Recreation Room - Lower Level Master Bedroom features expanded Windows for safety and added natural sunlight in addition to large Shower Bath - Utility Room boasts commercial water heater, high-tech radon system and sump pump. Adjacent to Lower Level Powder Room are hook-ups for 2nd Laundry and/or Wet Bar Laundry on Main Level, too. Panel Doors, Recessed Lighting and Replacement Windows throughout. 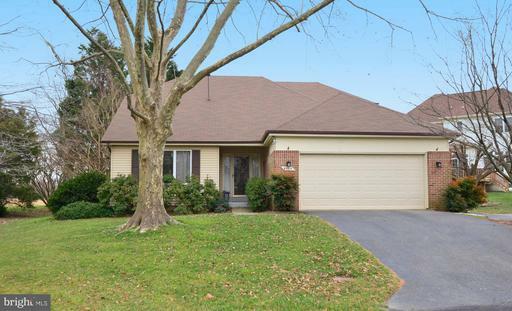 Oversized Carport with Side Entrance to Family Room. New Slate Walkway and Entrance. A Must See! 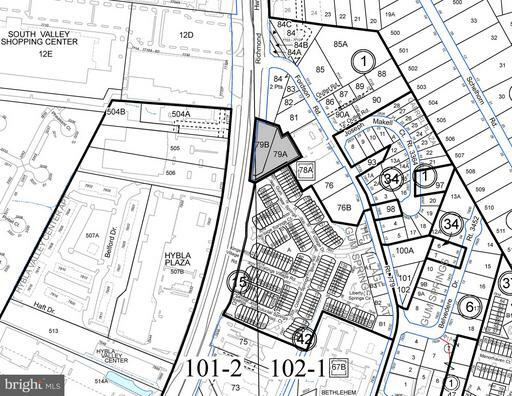 Residential land on private dead end street. Public utilities on the street. Total 4 combined lots for $400k. 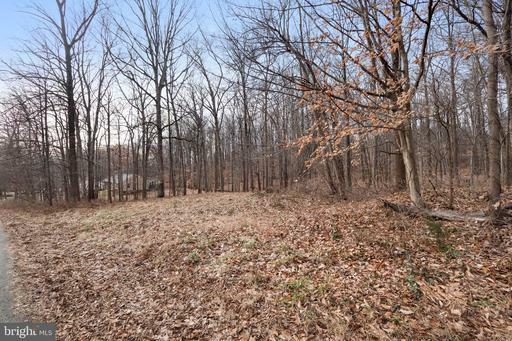 8127,8126, 8123, 8119 Water runs through portion of lot and greater potential when sold together. Owner will also consider a joint venture opportunity. Great Location. Luxury and Tranquility at its BEST! 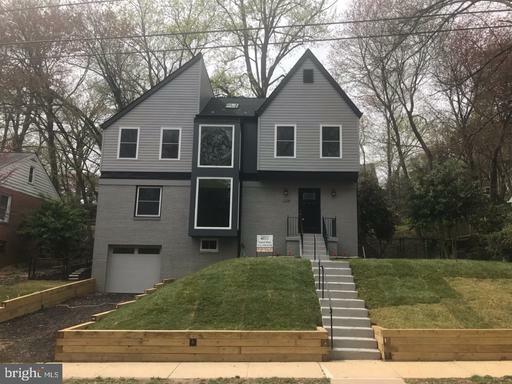 Enjoy this beautifully renovated in 2018. Gourmet Kitchen with 6 burner gas stove, two ovens, two dishwashers, warming drawer, and two sinks. Two amazing outdoor entertaining spaces, outdoor kitchen area, open concepts, Spa style Master Bath, 6 fireplaces, Custom Library, wet bar, recessed lighting and upgraded security features with cameras and Heated Parking and whole house Generator. Please schedule a private tour to really appreciate this home. OASIS on half an acre! House Beautiful describes approx 5,000 fin. sq ft. Grand two story entry foyer with dual stair case. Spectacular floor plan with open concept - family room with coffered ceilings, gas fireplace , wood floors , breakfast room and amazing fourmet kitchen with huge island. Walk in pantry, garage access, butler pantry and half bath. Formal living room, dining room and den. Custom finishes, appointments, lighting and designer finishes through out. Four generous bedrooms upstairs including a luxurious master suite with walk in closet and fabulous bath...Over 165K$ in landscaping :in-ground heated salt water pool, sunning pool deck and waterfall! Year round porch with heat/ac, remote controlled sunshades, windows screens! Fabulous playground and fruitful vegetable gardens. Finished lower level with walk out stair access. HUGE unfinished storage area, upper level laundry and zoned heat and AC. It is a MUST SEE. Gorgeous 3BR/4BA Pinecrest Home on Premium Lot Overlooking Golf Course! Everything you need on Main Level! Kit w/ maple cabs, granite, SS, table space! 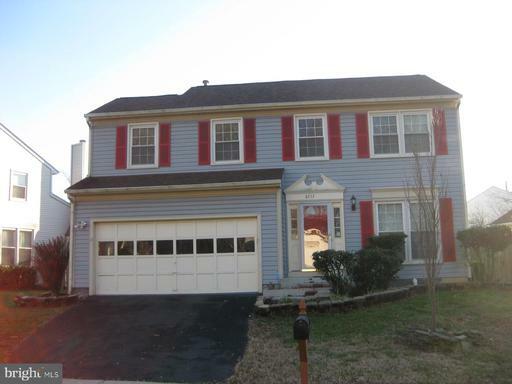 Dramatic 2 story great rm w/ skylights gas FP! Open loft/fam rm. Hardwoods on main lvl. 2 car garage. New roof 18. HVAC 14. New insulation. Rec Rm w/ Pool Table. Walkout to nice deck. So peaceful w/ sweeping golf course views! Super convenient inside Beltway location! 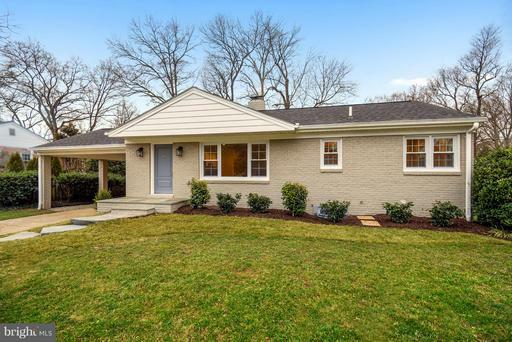 Open House, Saturday Sunday, 4/6-7 from 3-5pm. This stunning 6 bed/3 bath 2-car garage home is available for Quick Move-In! 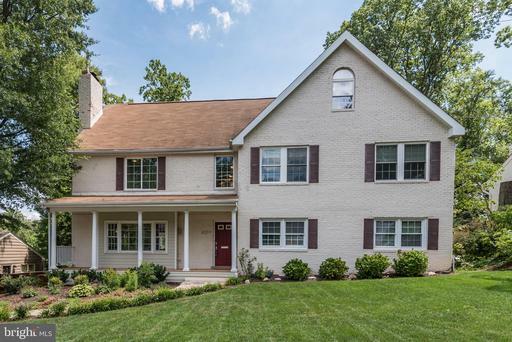 The newly renovated home features an open and airy floor plan on a 1/2 acre homesite. The home features newly installed MI windows throughout providing efficiency and an abundance of natural light. The gourmet kitchen features an oversized island, trendy granite countertops, recessed ceiling lighting, island pendants and under cabinet lights. 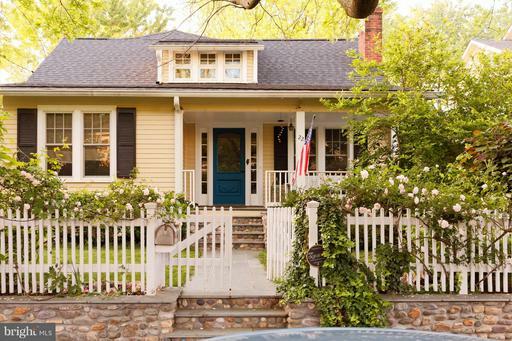 The original wood-burning fireplace provides warmth and charm to this newly renovated home. Natural hardwood will carry you throughout the first floor and into the oversized laundry room. 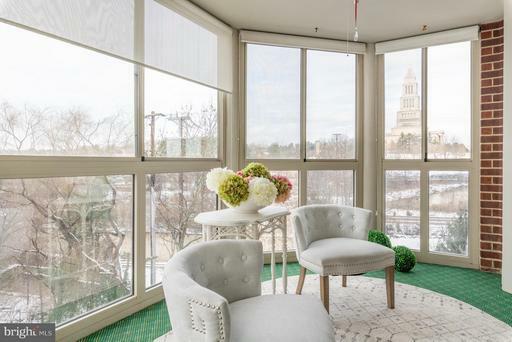 Upstairs the Owners Suite will greet you with grand cathedral ceilings, oversized walk-in closets and plush carpeting. Your Owners Suite bath features an oversized shower, dual vanities with granite countertops, new Kohler bath fixtures and designer selected tile and lighting finishes. The fully finished basement with bedroom will provide additional living space for family and friends. The 42" areaway will provide quick and easy access to the large usable rear yard with treed views. 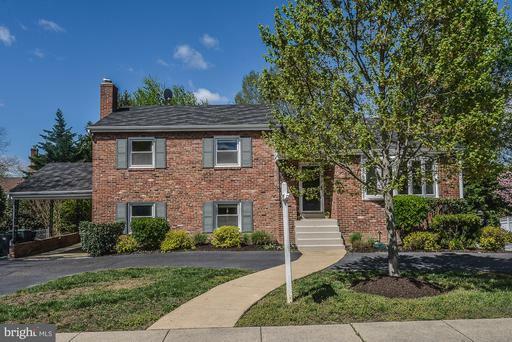 Located in the highly desired Mount Vernon Terrace community. Watersport enthusiasts will love the quick water access moments away. One block to the Walker Gate entrance of Fort Belvoir. Enjoy shopping and dining at nearby Hilltop Village. Quick access to I-95/I-495 provide a shortened commute to employment hubs throughout the DC Metro area. Listing Broker: BH Investment Realty. Inc.